SI's All-NBA and All-Defensive Picks: Who Lands on Our First Team? With James Harden having a transcendent year and LeBron having a troubling one, SI's All-NBA and All-Defensive teams have plenty of intrigue this season. We present selections and explanations for every spot. Assembling the first team is really a series of three either-or judgment calls of varying difficulty. Antetokounmpo and Harden are unimpeachable selections, without so much as an argument to entertain for the sake of debate. The real decision points, then, are deciding between George and Kevin Durant for the remaining forward spot; Embiid and Nikola Jokić for the lone center spot; and Curry and Damian Lillard for the last guard spot. Personally, I found George and Durant the toughest to parse. 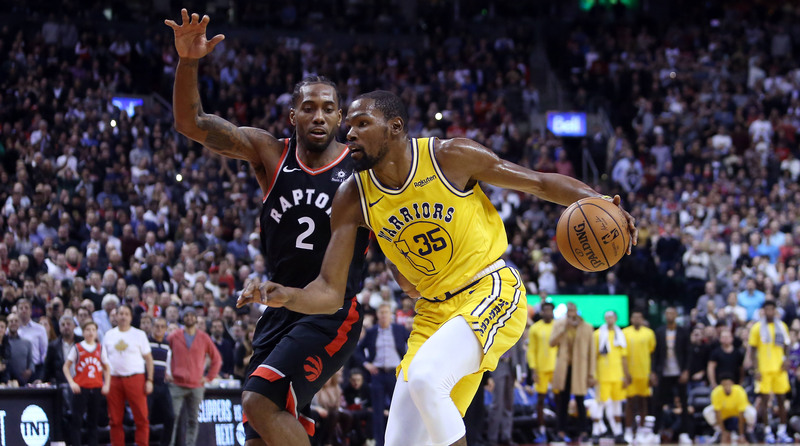 It’s not exactly fair to punish Durant for playing on a more talented team, and yet Golden State’s embarrassment of riches winds up working as a sort of asterisk. It factors into Durant’s edge in efficiency and helps to qualify his assist total. Basketball is just a different game when the floor is balanced by Curry and Klay Thompson, and on some level that has to be taken into account. The trick is doing so without disqualifying Durant’s stellar, grounding play for the Warriors this season. Golden State could afford to play this season at a more relaxed pace because Durant is the game’s preeminent bailout scorer. A decent look is never more than a post entry pass away, to say nothing for how Durant has otherwise settled into the flow of the Warriors’ offense this year. The system might not always flow as smoothly as it did in 2015, but KD is so often the player to break a defense’s clever game plan. By the nature of where he plays, George has to do more. It’s not a matter of usage but responsibility; there are more safety nets in place for Durant should he slip, whereas the Thunder began their late-season collapse almost as soon as George suffered a shoulder injury. OKC has been completely lost this season without him, which punctuates the significance of their sizable winning margin when George is on the floor. Every piece of information available—quantitative, anecdotal, and otherwise—suggests that George has actively carried a 49-win team. That has to matter, even if it isn’t enough to put George over the top. The most reasonable grounds for separation is defense. George is a high-impact, every-night defender tasked with the most difficult assignments in the league. Durant can be an outstanding defender in his own right, but his effort—in typical Warriors fashion—comes and goes. Durant just didn’t have the same reason to dig into every possession that George did, and that distinction in urgency led to very different results. With their offense so close to a wash, elite defense swung my vote. Picking between Curry and Lillard came easier, in part due to my selection criteria. The NBA is purposely vague in their explanation of its awards because the philosophical framework is often the point. If you want to vote the best player on the best team as your MVP, that’s your right. If you believe another player defined the NBA season, perhaps they’d get your vote instead. The criteria themselves are subjective—including with relatively straightforward categories like All-NBA. Personally, I try to select the out-and-out best players in the league this season without quite as much regard for games missed. The total body of work—in minutes and games played—is a bigger factor for me in voting for other hardware, but All-NBA seems like more of a categorical classification. On my MVP ballot, I voted Lillard above Curry. To play 500 more minutes in a season is no small thing in the consideration for that award, particularly when everything the Blazers do depends on Lillard’s work as a creator. Absent that factor, however, Curry stands a cut above. Both guards do so many similar things, the vast majority of which Curry does better. The same Durant/George qualifiers apply as far as the surrounding talent on the Warriors, but they’re less persuasive when Curry himself rates as one of the single most impactful players in the game. This was an outstanding year by Lillard, and the Blazers by extension. It is not an indictment to say he might not quite measure up to Harden and Curry, two of the best offensive players the sport has ever seen. Difficult as it is to relegate Nikola Jokić to the second team, the way Embiid played this season didn’t leave much choice. 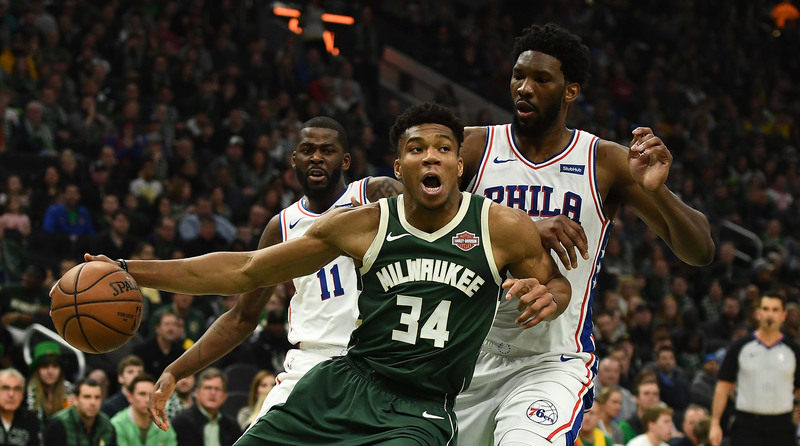 There is a gulf between the two on defense to begin with; Embiid could credibly be called the best defender in the NBA, whereas Jokić has scrapped harder than ever this season just to make ends meet. From that starting point, the fact that Embiid is a better scorer (while almost identical in true shooting percentage) and a better rebounder puts Jokić in a difficult spot. I stand in awe of his playmaking, which worked as a rising tide this season for a Denver team imperiled by injury. It’s through Jokić that fringe players become viable and good players border on stardom. Embiid’s contributions simply hit harder, in part because he’s such an imposing figure on both sides of the ball. Opponents have to build their lineups around the prospect of slowing him down. His sheer size compromises even some of the best bigs in the league—save Al Horford. One might quibble with the way Embiid navigates double teams or goes about choosing his shots, yet the results on balance point to a more pervasive effect. For commentary on Durant, Jokić, and Lillard, see above. Mileage on Leonard will vary not only depending on how voters evaluate games played, but the very notion of missing so many games voluntarily. I don’t have any particular objection; part of the intent in resting Leonard proactively was so he would be healthy at the end of the season, and he’s accomplished that. Most of his actual play is beyond reproach. Leonard might not have fallen perfectly in line with some of Toronto’s pass-happy stints, but he worked potently as the exact kind of superstar counterpunch the Raptors wanted. There still aren’t but a handful of defenders in the league who can deal with Leonard’s brawn, and most aren’t tall enough to consistently challenge his shot. The all-league-caliber defense is still there, and will surely be on display as the Raps run the playoff gauntlet. The only real reasons to exclude Leonard here, as I can see them, would be on the basis of only playing 60 games (which is enough for me) or taking an unconventional approach to the season (which I have no problem with). Team defense was enough to keep Boston competitive on its rougher nights, but Irving was responsible for pushing wins through. This was his best season as a playmaker, even if it was his worst as a leader. There is still no substitute—or answer—for a well-timed Irving drive, and all the detours it might take. In a more competitive field, Irving may have caused his team enough angst to cost him a second-team slot. The alternative guards just don’t seem especially close; there is a chasm even between Irving, who played the best basketball of his career in spite of all the noise, and the chronically inefficient Russell Westbrook. The only choice is to give Irving what his play deserves: recognition as one of the four best guards in the league, even as his grumbling created controversy and sowed division. Consider his selection a testament to his game. 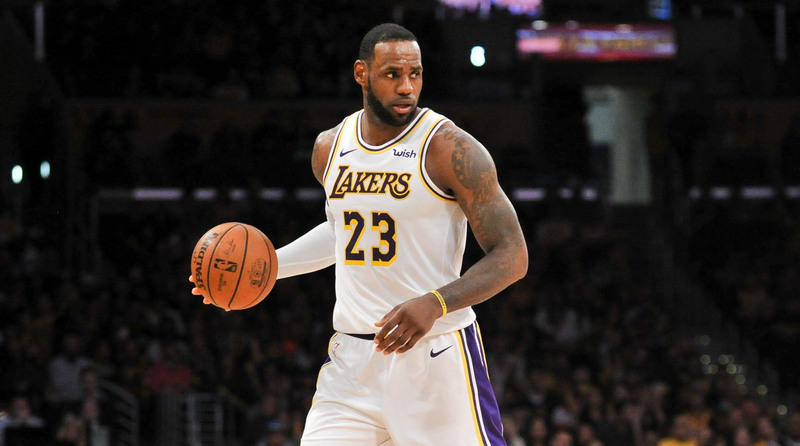 James played some part in the Lakers’ cultural implosion, opted not to play defense for most of the season, largely chilled on the perimeter, and still was one of the best forwards in the league this season. The conversation around LeBron will always be complicated (it’s never clear what can be tied to a player who wields this much power, or whether it’s fair to tie in that level of extracurricular activity at all), but I don’t connect much with the case for his All-NBA exclusion. The league has many capable, talented forwards. None of them should unseat LeBron when he put up 27-8-8 as the best thing going for a terribly constructed team. Griffin is not only an easy choice, but one of the best stories of the season. Detroit will at least make a cameo in the playoffs after missing the cut in eight of the past nine seasons, in large part because Griffin took the stretch four archetype to fascinating new extremes. If volume three-point shooting hasn’t saved his career (the relief on Griffin’s knees is surely welcome), it has at least revitalized it. It would be nice to find room for Karl-Anthony Towns, but it just can’t be done at the expense of James, Griffin (Towns can technically be listed as a forward), or Gobert. Utah made its patented second-half surge thanks to Gobert’s typically stellar work in the middle, anchoring the Jazz on both sides of the ball. Donovan Mitchell and Ricky Rubio need his screens to spring free and set the offense into motion. The threat of his rolls to the rim—and opponents’ instinctive panic—creates open threes all over the floor. A career-high 15.9 points per game on league-best 66.9% shooting ain’t bad for the reigning (and possible back-to-back) Defensive Player of the Year. Gobert is proof of the virtue in knowing your limits. Nothing in his game is forced, which means little is lost. The final guard spots are swamped with similarly qualified candidates. Westbrook distinguishes himself by way of brute force. 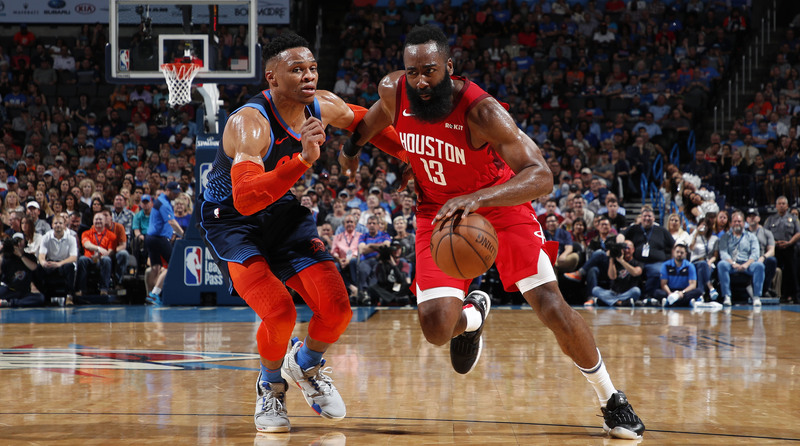 No other candidate for this slot exacts quite the same toll; even without the threat of his jumper, Westbrook stress-tests a defense with wave after wave of attacks, wearing opponents down in the process. Not all of his decisions are prudent, but there’s something to be said for a player who forces his way into frame. It’s that demand for attention that makes Westbrook such an effective playmaker, even on a team that doesn’t have the shooting necessary to actually space the floor. It doesn’t matter; defenders still end up watching Westbrook as he streaks in at full speed, oblivious to the lob he’s about to flick over to Steven Adams. Beyond Westbrook, it gets complicated. You could opt for a third option on a winning team like Klay Thompson; a tragic figure like Kemba Walker; or a light in the dark for a losing team like Bradley Beal. I went with Conley, in part out of utter disbelief in the fact that the Memphis Grizzlies—a rotating cast of vaguely NBA-like players—were somehow a slightly net-positive team during Conley’s minutes this season. This is a miracle in our times. Conley presents a balanced case: better efficiency and defense than Walker, better team performance (in his minutes) in a better conference than Beal, and a bigger workload with wider ranging production than Thompson. Conley has the highest assist rate among all four guards and the lowest turnover rate, excepting Thompson, who barely dribbles. But really: the only chance Memphis had to even approach basketball solvency this season was to rely on Conley. That makes for an odd All-NBA case, though in this tier and against these candidates, I found none more compelling. F: Giannis Antetokounmpo, Bucks – There is nothing a defensive system might ask that Antetokounmpo cannot do. My pick for Defensive Player of the Year. F: Paul George, Thunder – The perk of having your team’s best offensive player also be its best defensive player is the guarantee that he’ll be in the mix when it matters. There’s no earthly way to play George off the floor, and thus no real reprieve from his smothering perimeter coverage. C: Rudy Gobert, Jazz – There is a fun cat-and-mouse game in the way that smaller, scurrying opponents try to bait Gobert out of position, but the reality is that the cat almost always wins. Utah’s scheme keeps Gobert where he’s at his best, and those who get too close tend to get squashed. G: Marcus Smart, Celtics – The best defenders aren’t just positionless, but sizeless. Smart, at just 6'4", can body up a big and contest a shot at the rim. He can give up five inches to a star wing player and dictate the matchup on guile. The perfect mix of physicality and gamesmanship keeps Smart competitive against anyone. G: Eric Bledsoe, Bucks – The first line for the best defensive team in the league. Bledsoe is a born disruptor, and worse, he’s better connected with his Bucks teammates this season and more committed to recovery. Bledsoe is a great example of what a quick first step can do for a defender, whose starts and stops are the only sustainable way to apply pressure. Also: Apparently created an avant garde defensive style against James Harden. F: Draymond Green, Warriors – This was a low-key season for Golden State’s defense, but an impressive one for Green, through injury and all. Green doesn’t just make a defense more physical or better coordinated. He makes it smarter. F: P.J. Tucker, Rockets – Part defensive stopper, part mack truck. Those unlucky enough to earn Tucker’s assignment can be assured that they’ll never establish position on their own terms. Master of the timely swipe. C: Joel Embiid, 76ers – Humans this large shouldn’t be able to move this fast, change angles this quickly, or contort their bodies to block a shot as easily as Embiid does. Maybe the league’s most imposing defender, forced to the second team by positional designation alone. G: Danny Green, Raptors – Completely unshakable. Green is a third- and fourth- effort defender, forever giving chase around screens and sprinting back in transition. It’s admirable as hell, and incredibly effective. G: Jrue Holiday, Pelicans – A single perimeter defender can only do so much, but Holiday clearly finds sport in hounding guards around the floor. When defending on the ball, he can be flummoxing, seemingly on top of every move and every angle all at once. Away from it, his denial can make even career scorers give up on a possession before it begins.